Posted June 9, 2018 Home / Ottawa Yoga Blog / Articles / What is Therapeutic Yoga? Hello, my name is Kathleen! I’m a Certified Yoga Therapist (C-IAYT) and Registered Yoga Teacher (RYT). You can find me guiding Therapeutic Yoga classes at PranaShanti Yoga Centre and helping to coordinate the Hatha Yoga Teacher Training 300 Hour Program. The front desk receives plenty of questions about Therapeutic Yoga classes so I’d like to share information and dispel any misconceptions. People sometimes ask: “am I signing up for talk therapy?” or “is this physiotherapy?” – no, Therapeutic Yoga classes do not incorporate talk therapy or physiotherapy. Therapeutic Yoga weaves together ancient yogic tools including, breath techniques (Pranayama), hand gestures (Mudra), vocal tones (Mantra), gentle movement (Asana), and different forms of meditation. From my studies of Hatha Yoga at PranaShanti, Integrative Yoga Therapy at Kripalu and other training, I recognize that all facets of yoga contribute to health and healing on all dimensions of being. I’m passionate about creating inclusive spaces and sharing simple yet powerful self-healing practices. Therapeutic Yoga classes are trauma-informed and focused on self-care. Hands-on adjustments are not part of this practice and I encourage you to listen to your inner teacher. I offer invitations for exploration and points for self-inquiry; you choose to accept or decline based on what you genuinely need in the moment – not what you could do, should do, or even what would be good for you. At the heart of this practice is an opportunity to cultivate self-awareness and self-compassion. Within this atmosphere of allowing, everyone is welcome and everything is optional. Therapeutic Yoga is adaptive to the individual so I offer lots of variations along the way. Classes tend to be relaxing and deeply nourishing. Your body holds a wealth of wisdom and by slowing way down we can make contact with this innate intelligence. Your body also remembers everything you’ve ever experienced and can hold a tremendous amount of stress. Therapeutic Yoga can help to down regulate the sympathetic nervous system (flight or flight) and activate the parasympathetic nervous system (rest and digest). People often ask: “what’s the difference between Therapeutic Yoga and Restorative Yoga?” Great question! Restorative Yoga classes focus on longer held fully supported shapes. Therapeutic Yoga classes involve gentle fluid movement synchronized with breath and some restorative forms. For example, we may explore a joint-freeing series to improve flexibility and circulate energy then rest with props in a twisting pose before final relaxation. In this age of anxiety, exhaustion, depression and empathic distress are common challenges. Therapeutic Yoga can help to support healthy self-regulation and build the resilience we need to deal with stressful situations gracefully, adapt well to change, and keep moving forward in the face of adversity. I hope to see you in class sometime soon! There are no classes scheduled on Kathleen’s view. Are you offering Therapeutic Yoga and Restorative Yoga? 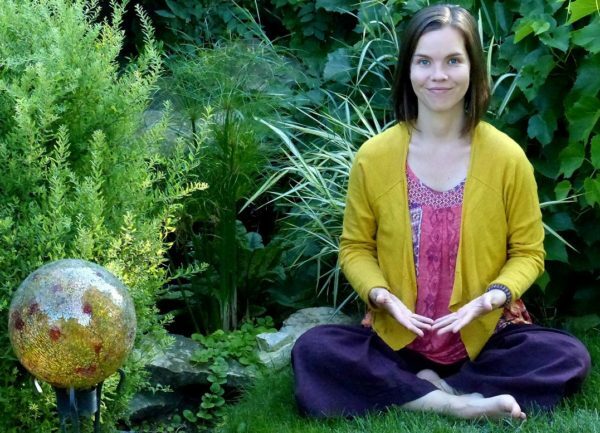 Kathleen is offering Restorative and Therapeutic yoga classes.